Paul is director of GeniusNet Limited, a niche technology business research and venture management consultancy based in Wellington, New Zealand. GeniusNet is building a portfolio of holdings in emerging technology companies. A serial entrepreneur, researcher, networker and occasional writer, he has a Bachelor of Science from Victoria University and a Master of Management from Massey University. In 2002 Paul set up ION, one of New Zealand’s earliest social networking communities and a platform to share ideas about technology, innovation and entrepreneurship. Paul is passionate about promoting the role of innovation and technology in economic development. 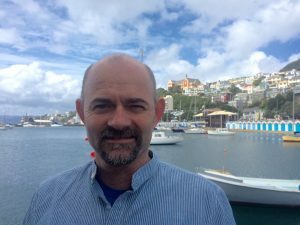 In 2005 he received a Creative Wellington Innovation Capital post-graduate scholarship from Wellington City Council for his Masters research project looking at facilitation and ideation at the overlapping boundaries of creative clusters and networks. In 2008 he co-founded ideegeo Group Limited an Internet technology services research and development provider incorporating fast growing global domain registrar iwantmyname. Paul was previously Chairperson of Unlimited Potential Wellington’s leading ICT networking community and a co-organiser of numerous technology sector events. He is the New Zealand editor for Startup Digest, a Startup Weekend organiser, mentor and judge and a mentor at Lightning Lab. Co-founder and director of ideegeo Group Limited an internet technology services business. Operations Manager at iwantmyname a global domain registrar brand developed by ideegeo. Co-founder of Polanyio an early stage machine intelligence venture. Co-founder, director and investor at Creative Forest. Editor of New Zealand StartupDigest. Organiser of the Wellington Machine Learning & Data Science Meetup. Startup Weekend organiser, mentor and judge. Here’s a short video outlining our approach. Contact Paul or reach out on Twitter.